The final episode of the third edition of MasterChef Brasil took place on August 23, 2016. Leonardo Young and Bruna Chaves are the lucky winners of this popular TV show in Brazil. 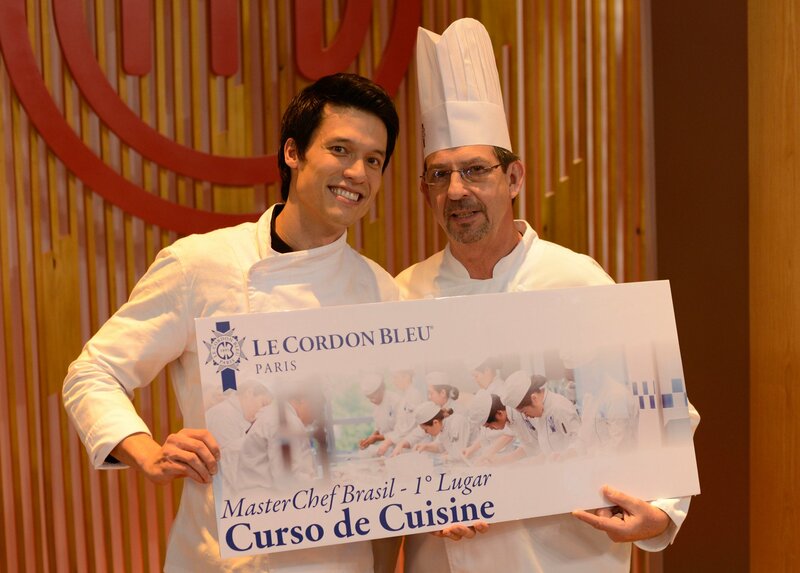 Le Cordon Bleu is honoured to partner yet again with MasterChef Brasil. We were delighted to welcome Elisa, winner of the first edition (winner Masterchef Brasil 2014), and are looking forward to the arrival of Izabel (winner of Masterchef Brasil 2015) next month for her Cuisine course in Paris. Le Cordon Bleu French Chef Instructor, Jacques Decrock, participated in this final episode to award the prize to Leonardo Young and Bruna Chaves. 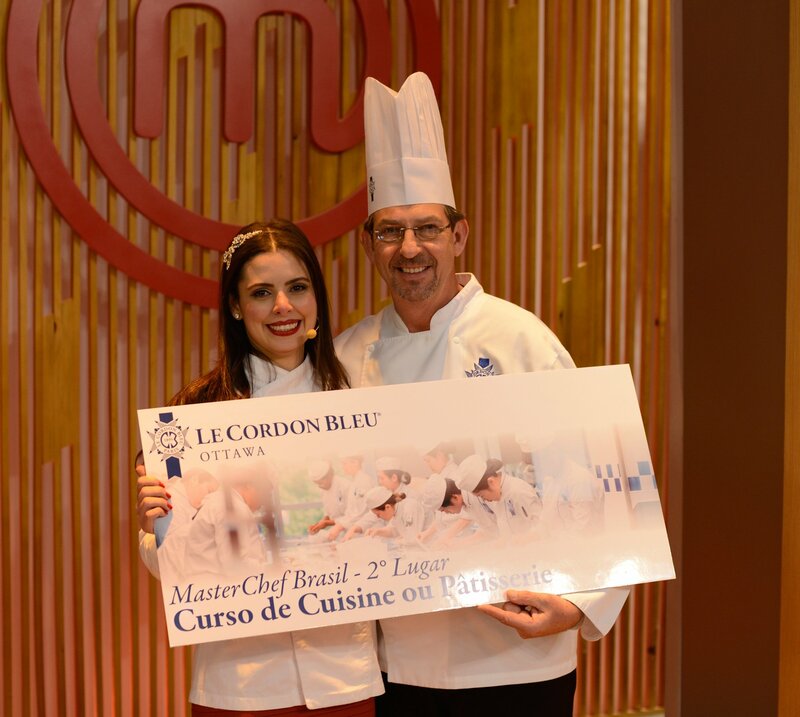 To encourage training in culinary arts, Le Cordon Bleu is delighted to award not only the first place winner, but also the runner-up of this challenging competition. The winners will be trained at Paris and Ottawa institutes and will be part of the international Le Cordon Bleu network present with more than 35 institutes in 20 countries and 20 000 students of over 100 nationalities every year. Brazil is certainly one of the most important countries for Le Cordon Bleu because our schools around the world welcome many Brazilian students every year. M. André Cointreau, President of Le Cordon Bleu International and the entire Chefs team look forward to welcoming the two winners next year.